The chair has a sliding seat that can be shifted according to the size and comfort needs of the child along with full height adjustment capabilities. Attachable footrest that will make your child comfortable and correct the seating posture at the same time. Fully adjustable thick padded seat and height controls for children of all sizes: slide forward for larger children, backward for smaller children. Thick padded slidable seat depth adjustable from 16.5" to 19.7" with handle button and 3.1" front and back. Height adjustable to 5.1". 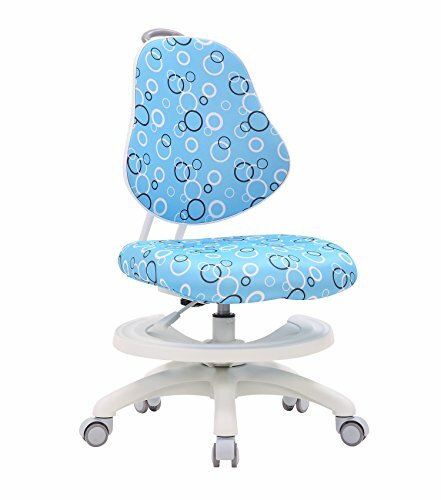 This child study desk Chair provides lovingly designed specifically for children with correct seating posture and children's physical growth in mind. Help your child get a head start with sitting rite at the same time.